There’s a lot you can take from others mistakes, especially when it comes to money. 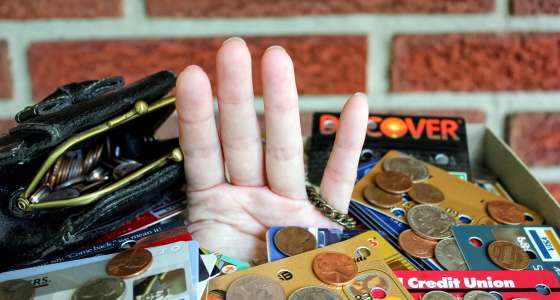 Only a paltry 5% of us have no financial regrets, according to one recent study, with a staggering 95% of Brits carrying some kind of monetary remorse. Without doubt past relationships were the biggest source of financial regret. Failed marriages left many frustrated, as did the subsequent divorces, with a host of readers sharing tales of regrettable romances. Second only to expensive exes came the property purchases that never were, with plenty of people sharing their regrets at missing the property boom. This is totally understandable given the current cost of housing, but equally those who’ve bought property also have their regrets. This was reflected by the reader who once agreed to an endowment mortgage - a financial product that’s since had its name dragged through the mud. In fact, lots of people held regrets about their banking decisions, credits cards and packaged bank accounts the biggest blunders of our readers. We’re not shocked by this - just think of all the recent scandals - and it’s a sad indictment of the banking industry. However, as one commenter replied there’s at least now some avenues for the affected to explore. And last but definitely not least, we saw a cluster of readers share their pension panic. We hear these concerns a lot, but there really is still hope. You can build a decent pension pot from your 40s, perhaps by just making a few lifestyle changes. Women have it tougher, for sure, but there are techniques that can help you close the pay gap. What’s your biggest financial regret? Tell us in the comments!